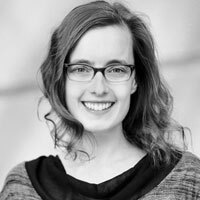 Dr Annika Elena Poppe is a political scientist and has come aboard as network member and as coordinator of the EDP Network in May 2015. She currently is Project Director and Senior Researcher at the Peace Research Institute Frankfurt‘s (PRIF) department “Intrastate Conflict”. Her research focuses on international democracy promotion, normative and political change, US foreign policy, and the US-Egyptian relationship. Annika has had academic training in Political Science and American Studies at Goethe University Frankfurt and in U.S. History at the American University, Washington DC. In 2011, she spent a semester as a visiting researcher at the Department of Government at Georgetown University. In 2015, Annika submitted and defended her dissertation on “U.S. democracy promotion after the Cold War: Stability, basic premises, and policy towards Egypt” at Goethe University, and has since begun to focus more generally on the global phenomenon of “closing space” and thus on the increasing restrictions on civil society support. Her most recent publications include From Closing Space to Contested Spaces. Re-assessing Current Conflicts over International Civil Society Support (PRIF Report 137, with Jonas Wolff) and The Nuclear Taboo, Battlestar Galactica, and the Real World: Illustrations from a Science-Fiction Universe (Security Dialogue 2016, 47: 4, with Marco Fey and Carsten Rauch). More about Annika Elena Poppe here. in: Welt-Sichten, August (8), 8-9.
in: Bonn International Center for Conversion (BICC)/Leibniz-Institut Hessische Stiftung Friedens- und Konfliktforschung (HSFK)/Institut für Friedensforschung und Sicherheitspolitik an der Universität Hamburg (IFSH)/Institut für Entwicklung und Frieden (INEF) (Hg. ), Friedensgutachten 2018, Berlin: LIT Verlag, 65-83. PRIF Report 137/2015, Frankfurt: Peace Research Institute Frankfurt (PRIF). in: Wolff, Jonas/Spanger, Hans-Joachim/Puhle, Hans-Jürgen (eds. ): The Comparative International Politics of Democracy Promotion, London: Routledge, 37-60.
in: Global Constitutionalism 2: 3, 373-406.
in: Wolff, Jonas/Spanger,Hans-Joachim/Puhle, Hans-Jürgen (eds. ): Zwischen Normen und Interessen. Demokratieförderung als internationale Politik, Baden-Baden: Nomos, 49-76. PRIF Report 2/2011, Frankfurt: Peace Research Institute Frankfurt (PRIF). PRIF Report 96/2010, Frankfurt: Peace Research Institute Frankfurt (PRIF).